Some, not all, Evangelicals may at times have anti-Semitic leanings and many will say that Jews will not be getting into heaven or, at the very least, will be given the opportunity to repent at the Second Coming otherwise they will meet an everlasting death (keep in mind, the entire concept of Hell is a late, Christian concept that many Jews do not accept, but that is for a whole different discussion.) So it does seem on the surface to be puzzling as to why the Evangelical movement would support the Jewish control of Israel. If we look at the the radicalized far right and their sometimes not-so-subtle anti-Semitism (to reference the stances of people like Steve Bannon’s anti-Semitic history and vocal Neo-Nazi Richard Spencer and his praise of the de-Judification of Trump’s Halocaust Memorial Day Speech) it then becomes obvious that the support of the nation of Israel has nothing to do with the support of the Jewish people and their right to worship as they please in a free country, but something much greater and self-serving. In biblical and religious studies, there is a fancy term we often use: apocalyptic eschatology. An Apocalypse, from the Greek for “to reveal” or how we often read it “a revelation,” is the revealing of knowledge previously unknown to us (or unable to be known to us except through divine intercession. Eschatology is the study of the “eschaton,” or “end times.” Therefore, the big, fancy academic phrase simply refers to a “study of how the end times are revealed.” When we read through apocalyptic literature (remember, this is just literature that reveals the unknown, not just that “end of the world” stuff), also look at how those readings were viewed over time- placing them in their historical context so as to not read them with bias and self-serving interpretations. There are numerous references throughout the Old Testament (or Hebrew Scriptures) that speak of the rise of God’s chosen, the retaking of the Promised Land, and the ousting of foreign nations. Historically this is understandable considering events such as the Assyrian conquering of the North (Israel) in the 8th century BC, destruction of the Temple in August of 587 and the subsequent Babylonian Exile, the rise of Cyrus the Great, the decline of Persian Rule, the rise of the Hellenistic movement, the Maccabean Revolt in the second century BC, and the rise of Rome in the 60’s BC. The cycle of gain and loss is a common theme as is the ways in which it was theologically interpreted as punishment and reward. God will punish us now for disobedience, but reward us with re-establishment. So, for the Old Testament (and for a people who did not see Heaven as an otherworldly place), the establishment of God’s Kingdom would happen when the Hebrews re-conquered Israel makes perfect sense. As we move into the rise of Christianity, as Jesus is living under Roman Rule and then, within 40 years of his death a failed uprising in Jerusalem leads to the second destruction of the Temple in August of 70 AD, we must first put into perspective the military role that a Messiah played (Cyrus the Great, a Persian, was called a Messiah in Isaiah 45 due to the fact he overthrew the Babylonians, ended the Exile and re-established the Temple, David was a Messiah because he brought the nation together and began to establish the Kingdom of God in Jerusalem) and then the immediate need for that role to be fulfilled while the Jews were suffering under Roman Rule. By the time John’s Apocalypse is written in the late first century, the outlook was becoming grim but the enemy had not changed- Rome must fall in order for the Kingdom of God (that being Jerusalem and the Promised Land) could be reestablished in its glory. The big shift in the interpretation of the John’s Apocalypse comes in the early 4th century AD after Rome legalizes Christianity, it becomes the popular religion of the elite, and Rome began funding the establishment of shrines and churches. There were many including Eusebius of Caesarea in his Ecclesiastical History – who thought John’s Apocalypse/Revelation, should not be included in the canon of New Testament books – after all, Rome was no longer our enemy, how then do we call the Emperor who is protecting us and funding our expansion a Whore of Babylon? It is at this point we shift to a more “symbolic” and “metaphor driven” interpretation of Revelation. Fast forward 1600 years- the Second Coming has not yet happened. Rome has fallen, the East and West have split, the rise of Islam, Scientific and cultural advancement, and the Protestant Reformation has happened. We are far removed from the historical context in which these texts were written and the Bible has been translated into the common language so that anyone (not just trained scholars) can read it. Fringe groups begin to increase in numbers, predictions to the end of the world and dates for the Second Coming will come and go over and over again, but one thing remains the same- the expectation that it is coming. 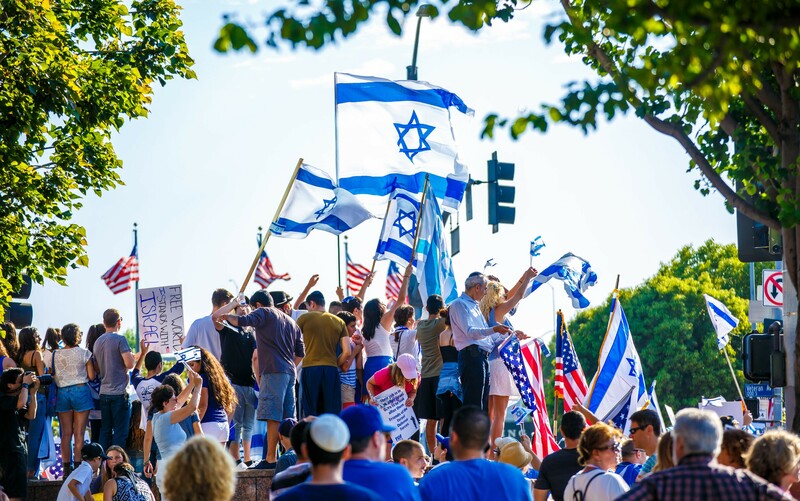 We have a rise in Christian Zionism and their ideology becomes increasingly popular. Suddenly we forget the historical interpretation of scripture, look at it as a roadmap of fortuitous events, and use those events aligned with what we then interpret as prophecy of the current times to prove that the end is near. Couple all of this with the rise in the Religious Right in the Republican Party and we begin to see how this develops. The continued control of Israel as a Jewish State is one of eschatological purposes- one in which it is interpreted that the prophets foretold and is in preparation for the Second Coming of Christ. In order to come to this interpretation of scripture, you must first ignore, or outright deny, the historical purpose that Scripture has served (The World Behind The Text), avoid putting the text within it’s proper literary context (The World of the Text), and merely focus on a self-serving ideological reading of the text (The World In Front of the Text.) This approach has poor scholarly justification to base itself upon, but it is a popular movement none the less and important to understanding political relations moving into the 21st century.